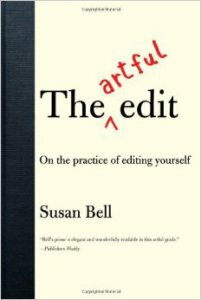 The Artful Edit, by Susan Bell: I use this every time I do a self-edit on a manuscript. It’s also a fun book to read straight through. She uses the editing process for The Great Gatsby — detailed in letters between Fitzgerald and his editor — to show how editing makes everything better. The New New Journalism, by Robert Boynton: Interviews with all the rock stars of current creative nonfiction — Ted Conover, Erik Larson, Susan Orlean. This is like a fan magazine for nerds like me. Like bread dough, my writing seems to require time to rise in a warm, draft-free place. 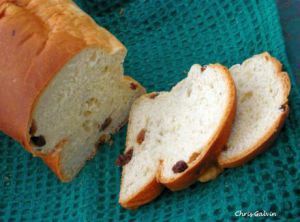 The long proofing period is necessary; turn up the heat to hurry the rising, or don’t leave it long enough, and I get a stodgy, dense loaf. Under ideal conditions—solitude, free time and excitement about what I’m writing—the words pour forth quickly. It’s exhilarating. But normally, I write when I can. I like to have control over an essay or story as it forms, and I edit as I write, considering each sentence as I put it to paper—does it say what I want it to say, or does it imply something else? I read what I’ve written aloud—does it have the right rhythm?Is my translation of Vietnamese dialogue as true to the original as possible? Does it sound natural? The questioner is actually asking four separate questions here. 1. What makes a great story? 2. What makes a great book? 3. Why do only a few books get acclaim? 4. Is it a herd mentality that snowballs a book into popularity. I answered them in order–but Number 2 is the one that interests me most. Fourteen years ago, I wrote a story about a girl. I was thirteen at the time, and writing stories was what I did. And not just about girls. Planets that spoke to each other, mice who lived in the Underground, magic meerkats and friendly boats. Writing was my thing; it was beyond a hobby and more than just something I enjoyed. It was how I understood the world. Words had all the magic and possibility anyone could ever need. Put them in the right order, and you could create a world of your own. And maybe, if you got them just right, that world would be a place that would mean something to other people.